The final performance of Andrea Bocelli's Passion Life Australia & New Zealand Tour was held at Perth Arena last September 24th. Having a maximum capacity of 15,500 audience for concerts, Perth Arena was probably 90% jam-packed that night. The Diamond and Platinum seatings (tickets are priced at $499 and $349 respectively) were almost full up, if not totally sold out. A rather clear indication of the tenor's artistic brilliance that have pulled such a crowd of that magnitude! Perhaps brilliance is a humble description. The colors that are absent from Bocelli's vision, are the colors that spark from every note that he sings. Andrea Bocelli demonstrated impressive vocal skills and subtlety in his musical expression. 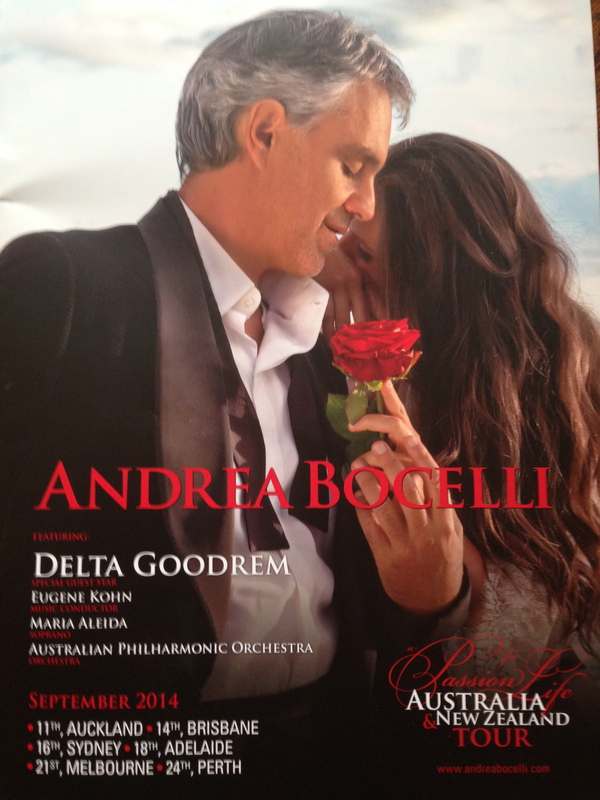 It was, indeed, clever for Bocelli to open up with the familiar aria (song) La donna é mobile from the opera Rigoletto after the Australian Philharmonic Orchestra, conducted by Eugene Kohn, played the Overture from I vespri siciliani by Verdi. This prepared the audience to listen and to appreciate the less commercially familiar classical songs that include difficult passage executions. Cuban soprano, Maria Aleida, demonstrated her vocal agility in the runs and trills and has impressed audience with her vocal range. The duet from Gounod's Romeo et Juliette (Nui d'hymenées) and from Puccini's La Rondine (Bevo al tuo fresco sorriso) were delivered with dramatic urge. This first part of the program was a taste of rather serious operatic arias and duets that serve to educate the ears and possibly to leave an impact on the music listening experience. 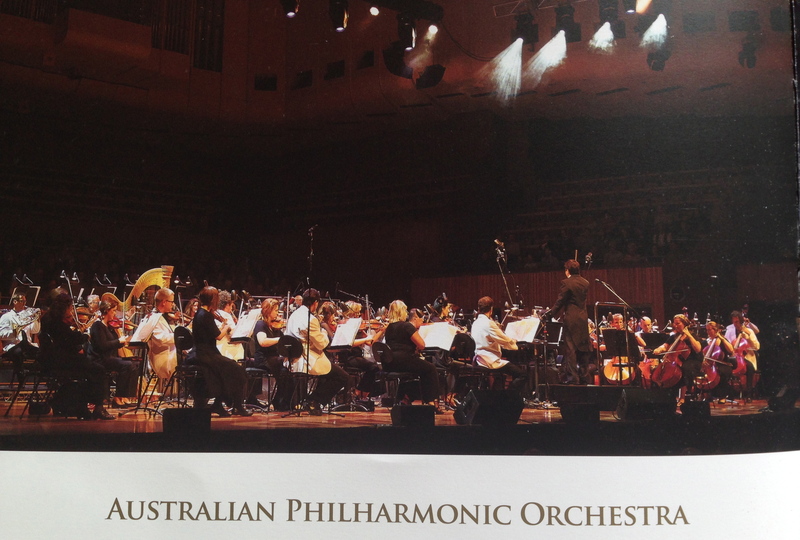 The second part of the program included songs from Bocelli's CD albums 'Incanto', 'Arie Sacre', 'Sogno', and his latest album 'Passione'. More relaxed and sing along enticer were such songs as Mamma, Vieni Sul Mar, Panis Angelicus, and Love Me Tender. This set also featured Delta Goodrem as a guest artist. Goodrem is an Australian singer-songwriter and 2012-2013 coach for the popular Australian TV show 'The Voice'. She is considered to be one of Australia's most accomplished female performers of the last decade after achieving #1 record-breaking singles and albums and multi-platinum selling status. Goodrem's appearance immediately changed the aura in the concert venue as she entered the stage waving to her fans in a stunning gown, with big smiles. Not at any point in time did she disappoint her listeners while performing alongside 'a legend for the new millenium' and an opera diva. Goodrem's rendition of Love, Thy Will be Done was very impressive especially during the vocal transition points where she had to immediately switch from head tone to her powerful natural voice. 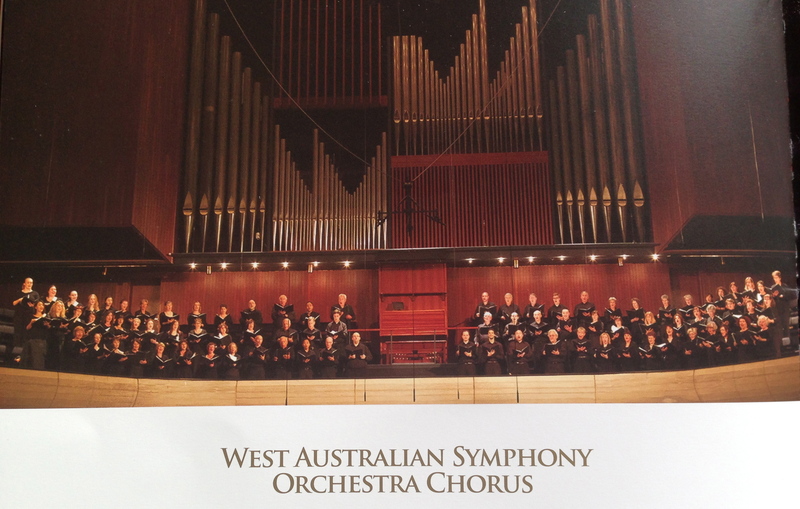 A lovely night of vocal supremacy, indeed, not to mention the awe-inspiring support from the West Australian Symphony Orchestra (WASO) Chorus. As expected, the performance would have not been complete without Con Te Partiro (Time To Say Goodbye) which was sung as an encore. Here, Goodrem was no match to Bocelli's breath control in delivering long phrases, but nonetheless compelled the audience to a standing ovation. The mood from the crowd seemed to be that of a tacit yearning for The Prayer but instead a surpassing soloist song was offered as a last encore. Andrea Bocelli concluded the enchanting night with Nessun Dorma from the opera Turandot. A well-deserved standing ovation that lasted until Bocelli has left the stage was overwhelming! I love Andrea Bocelli; he's an excellent singer.